Wedding Oak Estate Vineyard Viognier from 2016 harvest. Photo courtesy of the winery. These luscious vinos are perfect for spring. 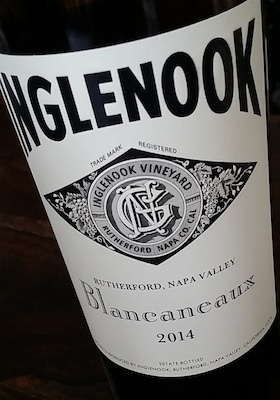 Inglenook celebrates the varieties with their Blancaneaux which is made with 56% Viognier, 22% Marsanne and Roussanne. Spring flower and citrus aromas open the wine, followed by nectarine, mango, and pineapple flavors. The balanced, textured wine finishes with the elegance expected from this historic Napa Valley estate. $65. From Donelan Winery in Sonoma, Venus blends Roussanne with a touch of Viognier for a luscious wine that melds white peach and pear with pepper spice and tea. Crisp and clean, the wine has freshness, and acidity, making this an ideal wine all year long. $48. Blindfold White blends Roussanne, Viognier, and Marsanne with Chardonnay, Grenache Blanc, and Chenin Blanc. The result is a highly aromatic wine. The juicy wine is filled with honeydew, honeysuckle, golden peaches, marzipan, and spiced vanilla. $32 at Goody-Goody. Structured and delicious, Paraduxx White blends 67% Viognier and 22% Chardonnay with a touch of Roussanne and Marsanne. The result is an aromatic tropical fruit, honey, and wildflower wine. $30. In Northern Rhone, Viognier grows alongside Syrah, particularly in Condrieu. Winemakers of the region often blend a touch of the white into the robust, earthy reds, to add softness and smoothness. Guigal Condrieu Viognier leaps from the glass with white peach, apricot, and white roses and a well-rounded palate. $60 at Total Wine. 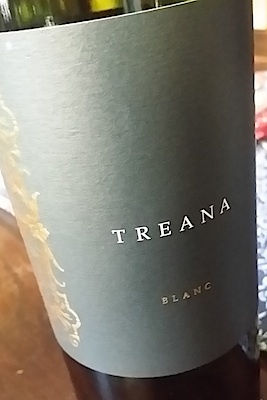 Treana Blanc, from Hope Family Wines in Paso Robles, blends the three dominant Rhone varieties to create a great food wine, especially as an alternative for any Chardonnay fans you might be entertaining over dinner. $17 at Total Wine. Also from Paso Robles, Adelaida Cellars produces an inviting, aromatic white blend from Anna’s Estate Vineyard. Anna’s White layers Roussanne, Viognier, and Piquepoul to create a wine with honeysuckle, lemon, and orange rind. $40 at wine.com. Washington isn’t as well known for their Rhone whites as some other parts of the country, but a few producers are proving that quality wines can be made in the state. 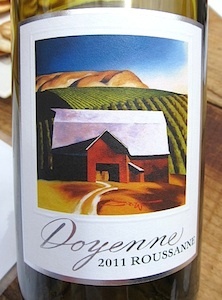 DeLille Cellars Doyenne Roussanne, from fruit grown in the Red Mountain AVA, layers ripe pear, tropical pineapple, and tangerine. $40 at wine.com. Wedding Oak Terre Blanc blends the three key Rhone varieties from fruit grown on their estate in the Texas Hill Country to create a dry, yet very fruit forward wine with texture. $23. Grenache Blanc, Ugni Blanc, Rolle, and Piquepoul are lesser-known white varieties in the Rhone. Though Ugni Blanc, also known as Trebbiano, is one of the most widely planted varieties in the world, including Texas. Duchman Winery recently released their first Trebbiano wine. It’s filled with lively citrus and steely minerality. $10 at Total Wine. Rolle is also known as Vermentino, the Italian white that leaps from the glass with sunshine. Allegrini, Solosole is produced from fruit grown on the Poggio al Tesoro estate in Bolgheri, Tuscany. It is radiant, crisp, and delicious. It layers ripe apricot, golden apple, and peaches. $23 at Jimmy’s Food Store. 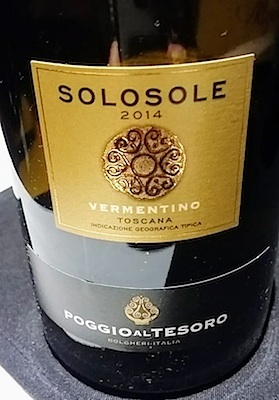 Aia Vecchia is well known for their Tuscan reds, but they also produce a lively Vermentino blended with a touch of Viognier, adding richness to the refreshing white wine. $13 at Jimmy’s Food Store. In Spain, Grenache Blanc is Garnacha Blanc. 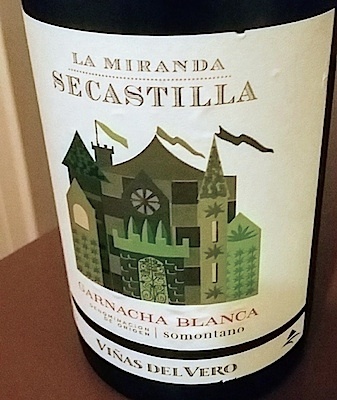 In the northern Somontono region, La Miranda de Secastilla Garnacha Blanca thrives at high elevations which averages around 2100 feet above sea level. The resulting white wine layers ripe lemon citrus fruit with lively acidity and honey. $16 at wine.com. McPherson Cellars in West Texas blends another somewhat non-traditional variety, Piquepoul, with the three dominant Rhone grapes for their Les Copains White Blend. The Piquepoul with its inherent acidity, lifts the white to create a well-rounded wine. $14 at Pogo’s. 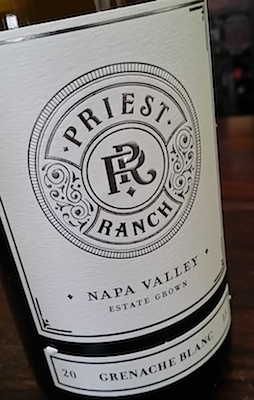 Priest Ranch Grenache Blanc comes from the vineyards in Napa’s Vaca Mountains. I find it to be ripe and juicy, with hints of golden pear and honeydew. The wine is aged on the lees (yeasts) for 5 months which adds creaminess. 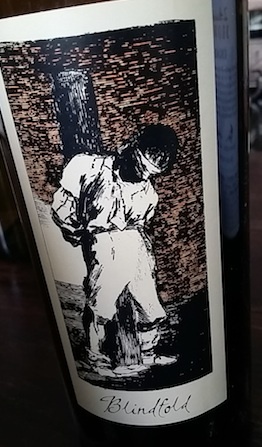 $25 at wine.com.